Another outfit in collaboration with Boohoo! This time I went for a more casual party look, Well I think this is casual! Something that you could wear for drinks or dinner but could probably get away with wearing on a night out with a change of shoes and losing the jacket! I really love this glittery t-shirt, I cant find it on the website anymore unfortunately but I really think it's such a fun piece for party season. I wore the same skirt as I wore in my other outfit so if you wanted to go see how I styled it for another party you can check it in this post here! The belt was pinched the belt off my flatmate (sorry Dals!) I really need to buy some belts as I don't have any at the moment as I decided to donate them all to charity when I moved (moment of madness?)! These photos show my new hair colour pretty well too! I went to my usual Lisa Shepherd London salon and got another set of painted on highlights and had it toned a bit warmer than I had before. I'm really happy with it and it's getting closer and close to how I want it! Like I said I will do a full post on my hair and how it was achieved but I just thought I'd quickly mention that Lisa Shepherd are also offering 50% for new customers, just go in and say your new and you'd like to get your hair done and mention you saw the offer on this blog and you'll get 50% off your final bill! Jason the Salon Director does my hair but my flatmate got hers done by Carly who was just as lovely! This t shirt is amazing I can't see it on the Boohoo website will it be coming out in the next few months? you're so gorgeous and your outfit is fab! wow! could i be anymore in love with your blog right now! your fashion and photography is beautiful! i love it! your blog is so inspiring and you are so pretty! Wow I love everything about this look! Beautiful outfit and nails! Absolutely love this look Lily! 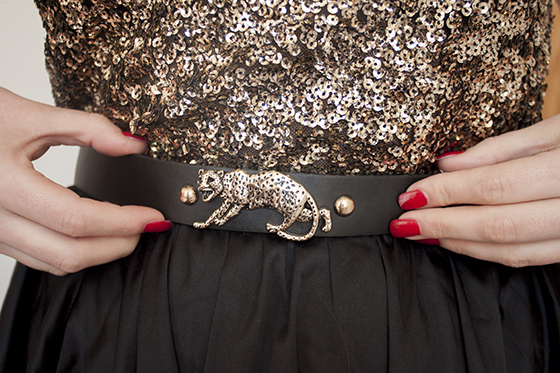 The sequinned top is fab, I really like the belt and your new hair is gorgeous :) Very pretty lady, very cool outfit. oooh love this! GETTING that tshirt! Love the sequin t-shirt, perfect for day to night dressing. Love the outfit - the belt especially! Your hair looks gorgeous. Love how caramel-y it is. Looks great with your skin! 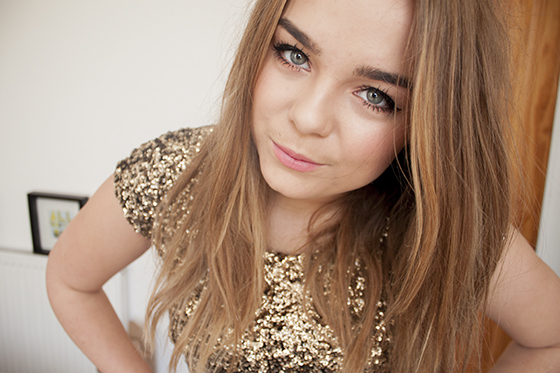 I love your top :) IT's so... sparkling! CHECK THIS OUT MY LATEST POST: Shopping: Be Curly! you look great, amazing outfit. beautiful look, it's really perfect for the holidays! Fabulous styling lovely, perfect for the party season and your hair colour is gorgeous! aah you look so pretty in these pictures! I'm loving the warm colour palette. 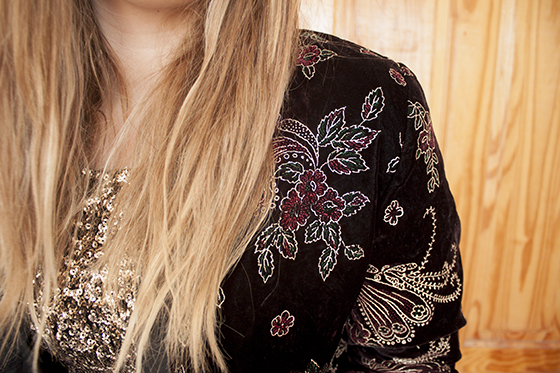 Gorgeous sequins! glamming it up for Christmas! That nail colour is amazing. 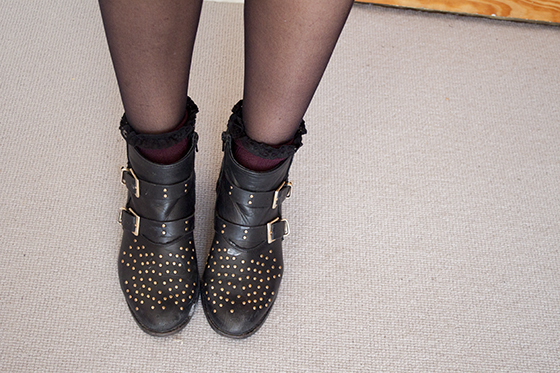 Still head over heels in love with those boots and the blazer! May also have converted into a sequin fan, too! love this outfit lily! the top is gorgeous! 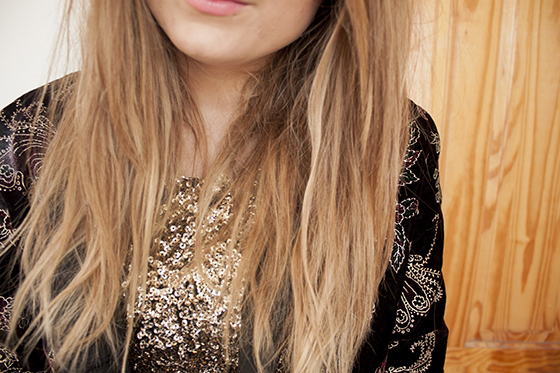 in love with that blazer, and the sequins! boohoo has improved so much over the past year or so!